Contents: An empanada (? 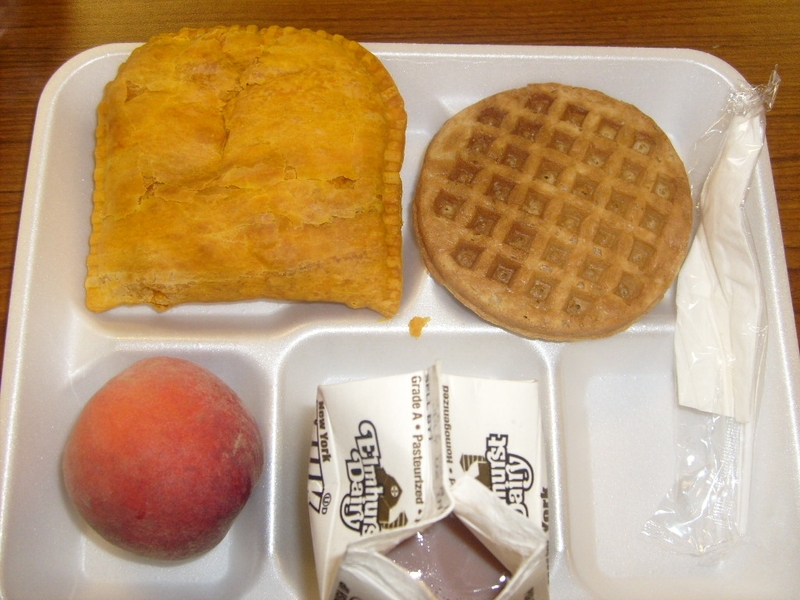 ), waffle, peach, chocolate milk. Notes: Is that an empanada? Can't tell, but it is probably a breakfast related item to go along with the waffle. Yeah, it looks exactly like the frozen Jamaican beef patties my husband packs for lunch occasionally. They're spicy and delicious, but REALLY fatty. Yup. That's what I was gonna say.